Create a PayPal Account:- Most of the People in India now want to earn money Online by using various platforms. To receive money from overseas we need to set up the PayPal account in India too. So that we can easily receive those amounts. Before coming to India. The PayPal was most trusted and Oldest way to Send and Receive payments to overseas business. PayPal US has been in trend to allure most people since it was the trusted medium to send and receive payments for online works. PayPal has been one of the best way to send and receive Payments in the US. Most of the People were relying on the PayPal US payments. Now due to the Digital India Campaign. Indian People are aware of this PayPal thing to receive their Payments in PayPal Account. Apart from this PayPal US is also expanding their services into the Indian Markets. As they want to give Indian People business exposures to the overseas markets. For this Indian People need to create the PayPal India Account. So that they can easily send and receive payments using the PayPal account without any hassles. If you are also eager to become a PayPal India Customer. Then you can follow the below steps to create paypal account to receive payments online from the various platforms. Most of the People in India are also creating paypal account to receive payments directly into their bank accounts. As there are various apps and online works supports only PayPal account. So they need to open paypal account to receive money. Afterward, they can send their received PayPal Money directly to their Bank Accounts. For this, they have to link up their PayPal account to their Bank Account. Why You Need To Have A PayPal Account? Having a PayPal Account is the best way to transfer money across to the various countries. Suppose that you are a blogger from India and you have got some project from the overseas then receiving the payments from the overseas account you need to have PayPal India Account. That would be a much and hassle-free way to receive the money for your works. However, If you hire any graphic designer for your online web portal from global platforms then you can easily pay them using PayPal Account. Whether you are shopping around the world, a PayPal account lets you Check Out safer, faster and easier. "PayPal India Account" gives an opportunity to accept the payments from over 200 Markets. What is PayPal Account and How Does it Work? PayPal is an online digital payments platform to provide the opportunity to the millions of businesses to empower their business projects and exchange the funds across the countries. Thus PayPal thrives to join many small businesses in the Global Economy. PayPal provides the online digital platforms to their over 237 million active users a confidence to transact and in a new powerful way, whether they are online on the web, on a mobile app. The Person that is having a PayPal account can easily send payments. paying or getting paid by the PayPal Account. To Create PayPal Account you need some documents as a proof. So that you can easily create a paypal account without facing any issue. What documents you need to have for "creating paypal accounts". So we are going to tell you the all possible things which are required to create paypal account. Some requirements are mentioned below that you must need to have for creating a paypal account. For Setting Up a Paypal account you need the above things to confirm your identity. So that you can create a paypal account. An Email is required as it'll be one of the important tools for a PayPal account if you are going to receive payments from Internationally (Overseas). Before signing up for the PayPal account with the Email Account. Make sure that the details which you have given to the Email should be same. Like your name should match with the name on your Pan Card. 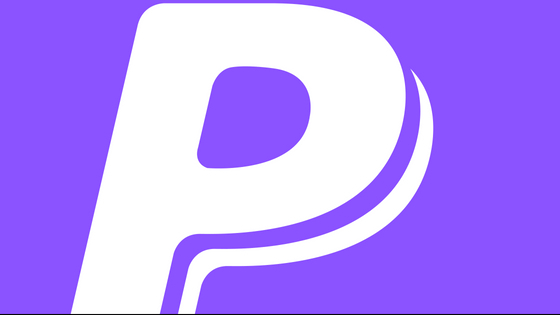 PAN CARD is necessary for opening a PayPal account. As it provides the details of the Payments of the citizen of the particular country like India. So if you are having Pan Card then you are ready to "open/create a paypal account". Bank Account- If you want to withdraw your PayPal account's money/cash. Then you need to link or verify your bank account in PayPal account. After that, your PayPal cash automatically will be transferred to your linked bank accounts. Now you can easily connect or link up your Paytm Payments Bank to PayPal account. So for the Indian People, it becomes much easier to create paypal account and then verify their bank accounts on the PayPal using the Paytm Bank. How To Create a PayPal Account in India? In India, now you can also create a paypal account. As PayPal wants to spread their services across the countries to allure more customers to expand their local businesses to the International Markets. India is also becoming the leading partners for the Online Businesses. That's why they are choosing Digital Payments Services. And PayPal India Account is trying to make out the things much easier to the Indian People who wants and supports to the Online Digital Evolution for empowering their economy. Most of the People in India using various sites to shop from the Globally. International Markets providing the most promising shopping for few people in India. But they accept the Payment mode as PayPal. So, To Pay for their Shopping they also need to have Indian PayPal Account. First of all Visit here PayPal Sign Up. Now select "For Business" Option and Click on Next. Enter your Email ID and then Create a Password and Click on Continue. It'll ask about "Tell us your Business". Select "Individual" in Business Type. You can check the below Image to Understand it Clearly. Now After filling the above details Click on Continue Option. Now in the Next Step, It'll ask your Name, Middle Name, Last Name according to your PAN Card Details, Date of Birth, Contact Number, Address etc. Fill all such details and Click on Agree and Continue. After that, you have to Confirm Your Email ID, Link Your Bank Account Number, Complete Online Verification etc. Confirm all these details in your PayPal account Step-by-Step to verify your PayPal account. How To Verify Your Bank Account On PayPal? To Verify your Bank account on PayPal is required to receive your PayPal Money directly into your Bank Account. So that you can easily withdraw your money from your Personal Bank Account. But first, you have to withdraw your amount from PayPal. For this, you have to link up and verify your bank account on paypal. Follow the below steps to "verify your bank account on PayPal". Go to the Account Setup or Money Option in your PayPal Account Dashboard Area. There you'll see "Link a Bank Account" option and Click on it. Now a new page will open where you have to Enter Your Bank Details. Make sure that the Name on the Bank Account must match to the name on your PAN CARD. 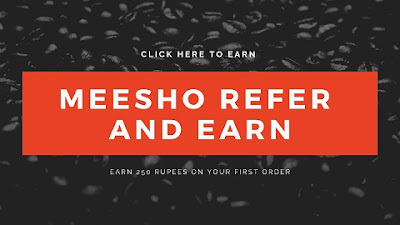 Enter Bank Account Number, IFSC Code etc and Click on Confirm and Done. Note:- Now PayPal will send two small amounts in your linked "Bank Account". You have to check the deposit amounts (It'll take near about 24 hours to receive this small amounts) in your Bank account and then confirm the same amount by login to your PayPal account. Now Click on the Verify Option and Enter the Amounts to complete your Bank Account Verification.